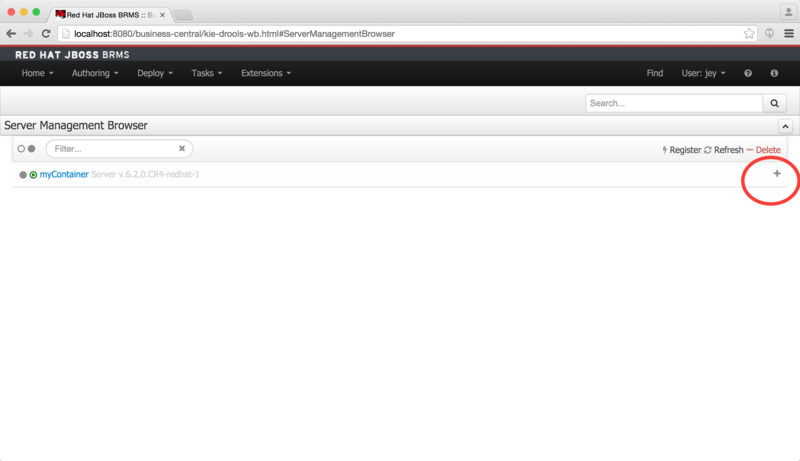 We have been waiting for Rule execution server so long; finally we got execution server built in with BRMS 6.1 release. 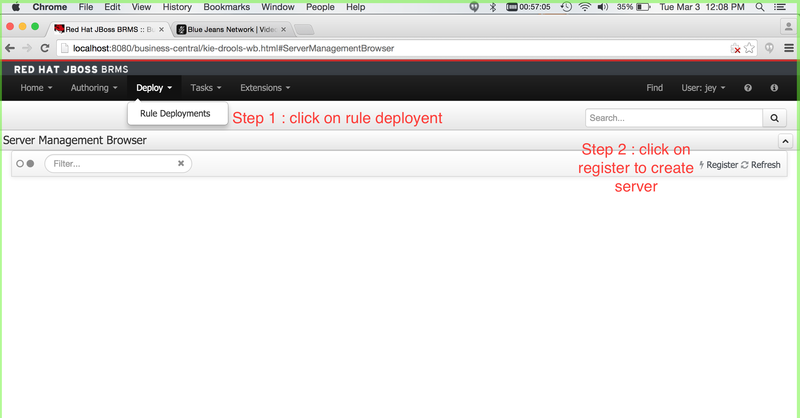 Rule execution server is an out-off the box feature built-in with BRMS, which provides unified platform to execute business rule in seamless manner. You don’t need to worry about writing your own code to execute rule. 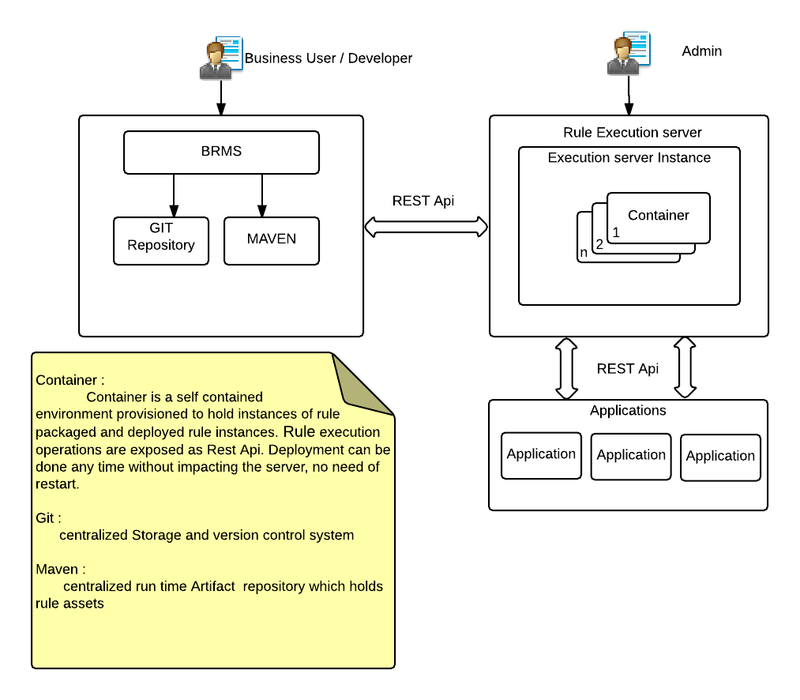 Just build your rule project from business central and deploy your compiled rule project as a execution container to the standalone EAP server. 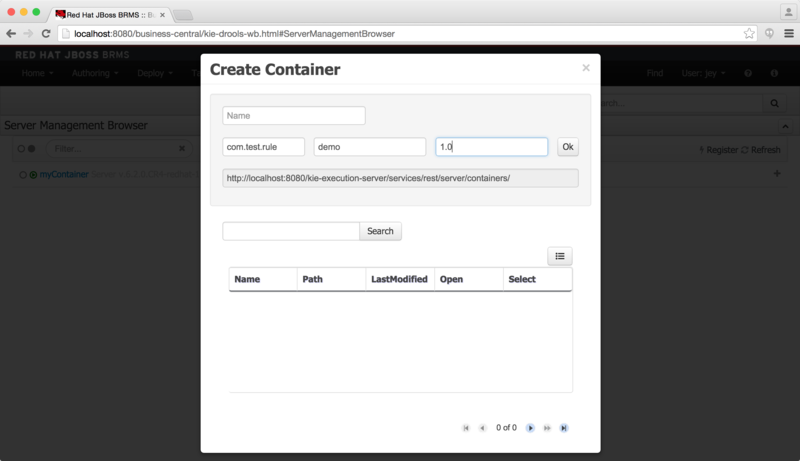 Containers are self-contained environments provisioned to hold instances of compiled rule packages and deployed rule instances. The Rule execution operations are exposed as a REST API, so that any application can consume deployed rule seamlessly with out writing cumbersome code. The BRMS Execution Server is distributed as a web application archive (WAR) with the name of “kie-execution-server.war” as part of BRMS Suite 6.1 release. 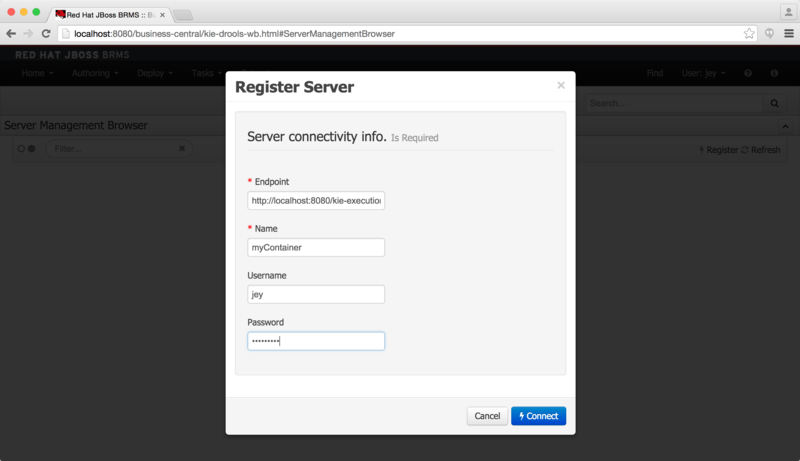 It can be deployed along with BRMS Suite or separate to EAP instance, up to your preference. enter your project maven artifact groupid , artifactId and version. also you search search business central , if you don’t know the artificates.